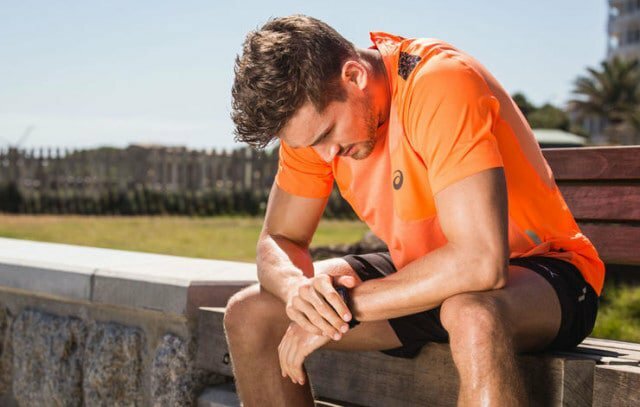 Every runner has bad days, but do you know why? It’s 6:23 a.m. The alarm’s already gone off, you’re out of the confines of your bed, and you’re ready to hit the pavement running, chasing the sunrise. Despite looking forward to striding along streaking light beams, you feel off. Tired. No more than 400 metres in, you realise that this just isn’t your day. A crappy run. A run that makes you angry you schlepped out of bed and laced up in the first place. You want to be home. You want it to be over. You want to pretend it never happened. Exercise, no matter if you’re lifting weights or tackling a 10-K can make your muscles sore. That soreness is a result of the hard work you’re putting in, generally a byproduct of the small tears in the muscle surrounding connective tissue. Not to worry: They’re normal, but they also require rest. Do yourself a favour and think bigger picture. The best-case scenario? Studies suggest giving your muscles an average of 48 hours in between workouts of the same muscle group to prevent injury. During that time, think of alternative ways to aid in recovery. Fuel properly with these better protein sources, and don’t be afraid to make friends with a foam roller (trust us, it won’t bite). So, what’s a proper warmup include? Aim to use a string of movements that wake up the posterior chain, including knee hugs, quad pulls, leg scoops, glute kickback, and table tops. Sure, running may be your second love (behind cookies, we’re sure), but that doesn’t mean your body doesn’t crave an alternative form of fitness.